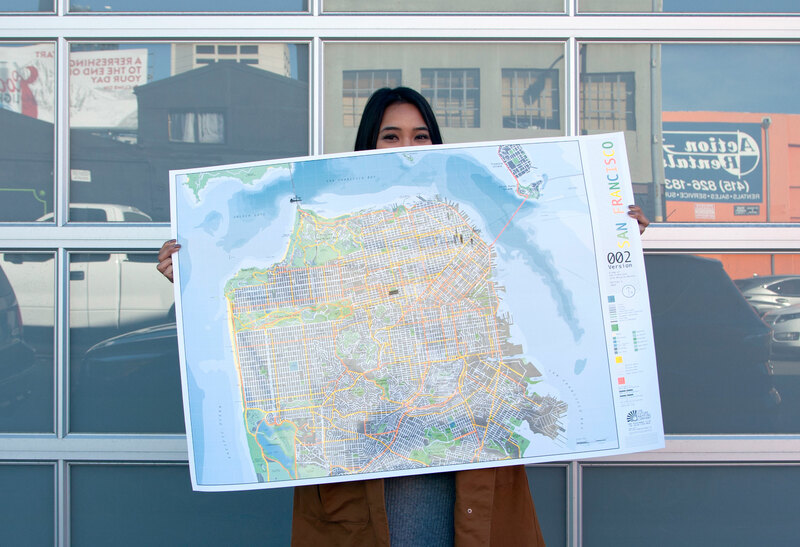 To celebrate the launch of our San Francisco City Map, we interviewed some local creatives to get the inside scoop on what life is really like in the Bay Area. With a wealth of different perspectives, one thing is for sure: diversity is at the heart of its ever-evolving identity. 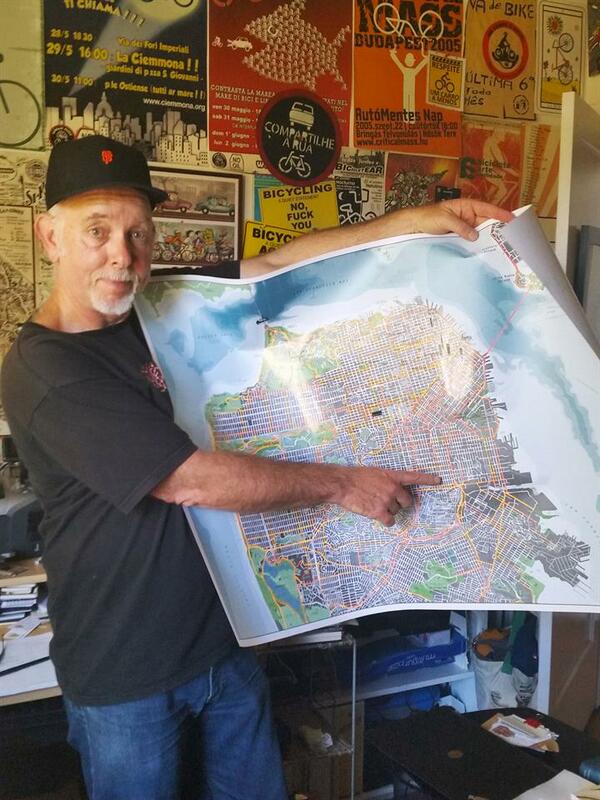 Chris is a writer, San Francisco historian, "professor," bicyclist, tour guide, blogger, photographer, book and magazine designer. 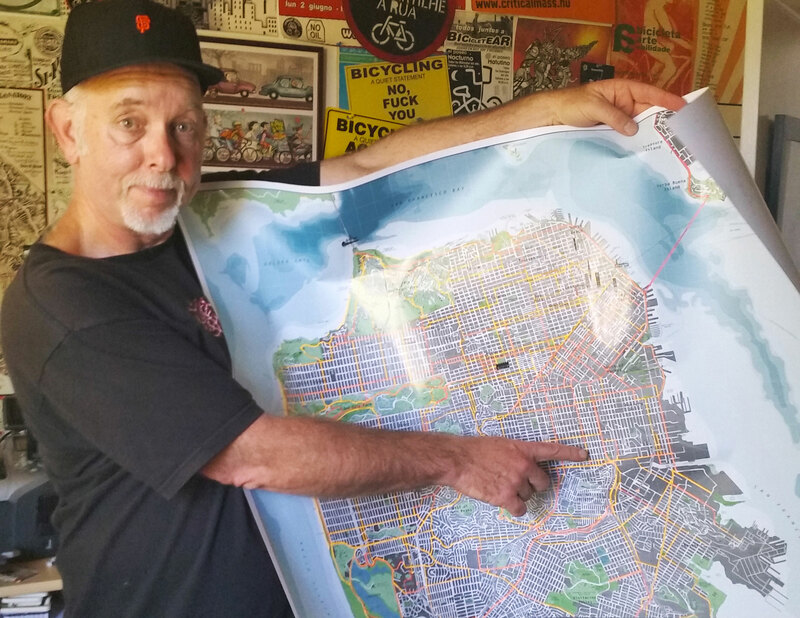 “I've lived in San Francisco since 1978, riding my bike around and over its scenic hills and valleys for decades now. These days it's a bittersweet feeling as I hike up and down my neighborhood slopes, traverse the busy shopping streets, and stop to ponder the radically changing (and changed) landscape here. San Francisco maintains an unmistakable physical beauty, though increasingly tarnished by cookie-cutter condos and glass-box high rises, but its soul is what is in real trouble. The diasporic multi-ethnic, class-diverse population that attracted young people for decades to come here and reinvent (fill in the blank - from politics to poetry, pop to punk, and beyond) is now in serious decline. Paul is West Coast Bureau Chief for the Guardian and lives in The Mission with wife, ethnobotanist Kay Lewis-Jones. 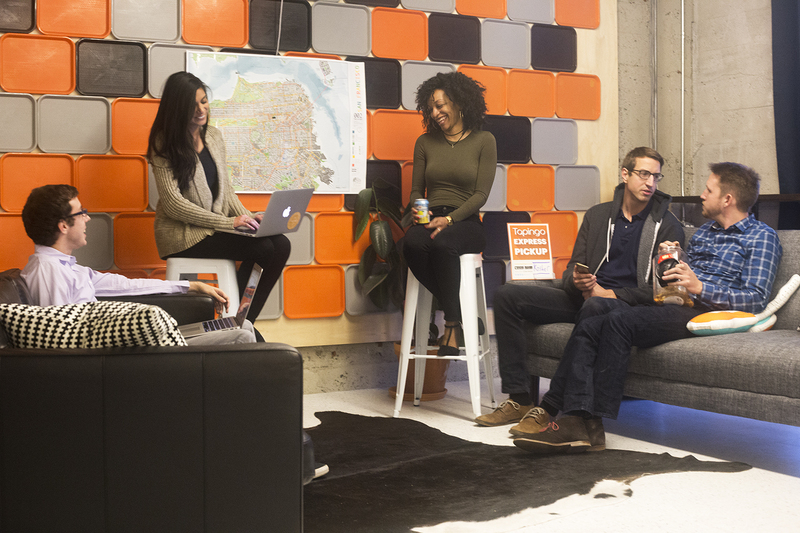 Over the years, Jim noticed how the design scene in the city has changed and how companies are more willing to spend resources on creative work. He appreciates the quick pace, the vibrant environment and being able to work with smaller teams. 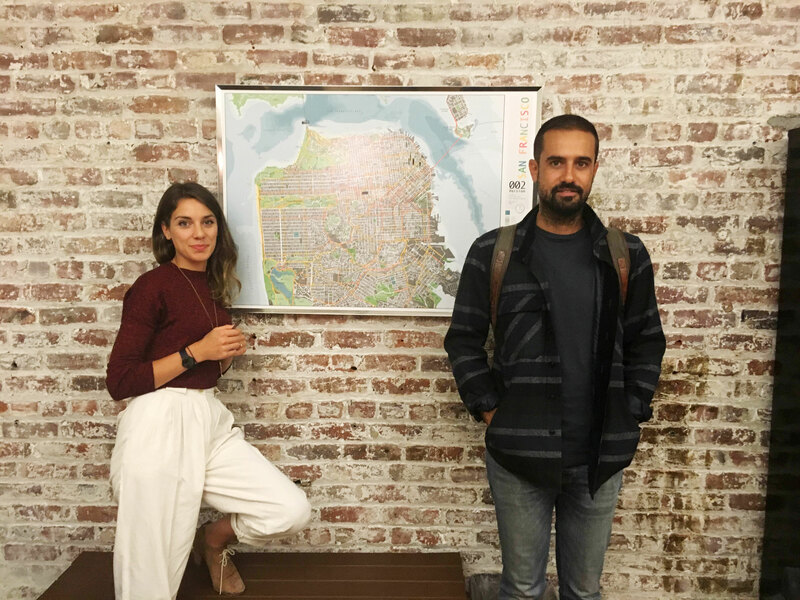 “I moved here right after I had graduated from college—I didn’t even have to think about it.” Amelie Au (designer) came to this city for one central reason: diversity. “It’s the most important factor to me. 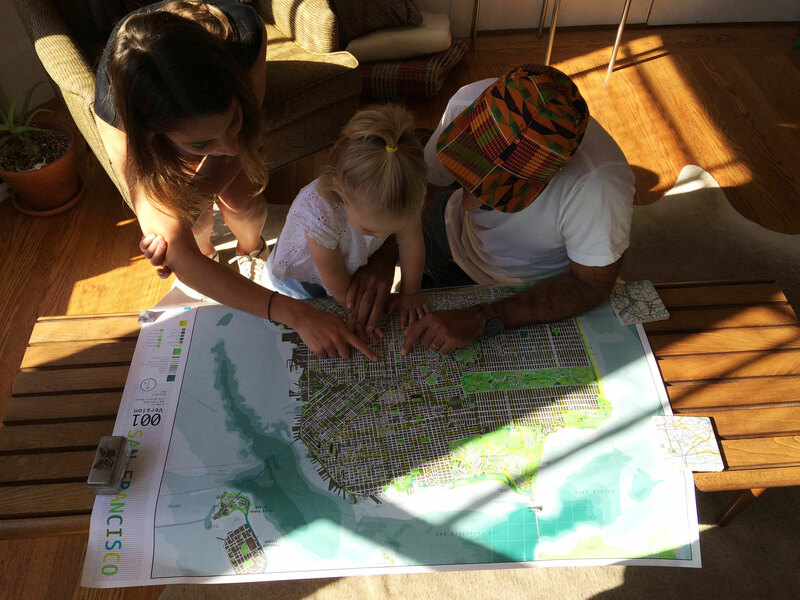 The intersection of culture inspires me and is a space I learn from the most.” She appreciates that the city has all kinds of people with a largely progressive and accepting community. 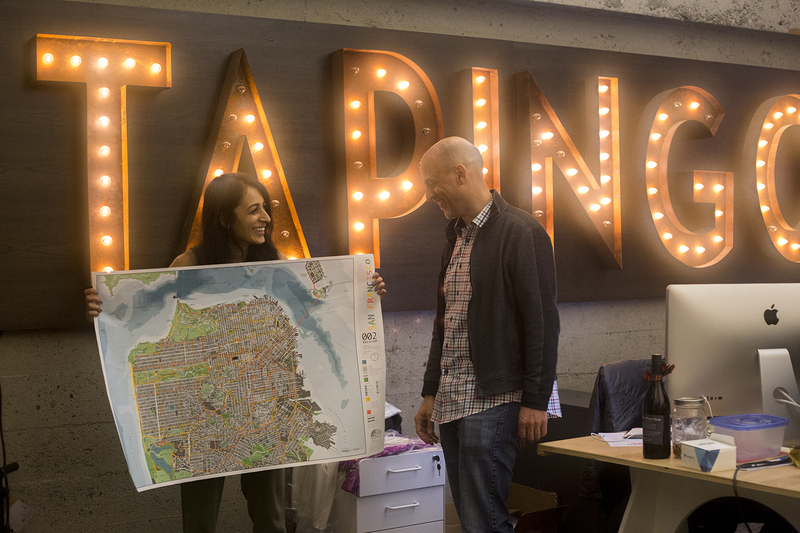 Startup company Tapingo chose San Francisco as their HQ for using technology to take care of everyday hassles. "Tapingo was created to make buying better. Right now, we're on more than 150 college campuses across the USA. Our app lets students order food straight from their phones, then pick it up on the go or have it delivered straight to their dorms. It's the most popular commerce app on campus – and it's probably at a university near you! San Francisco is a beautiful, diverse city that attracts some of the smartest, most creative, most ambitious people in the world. 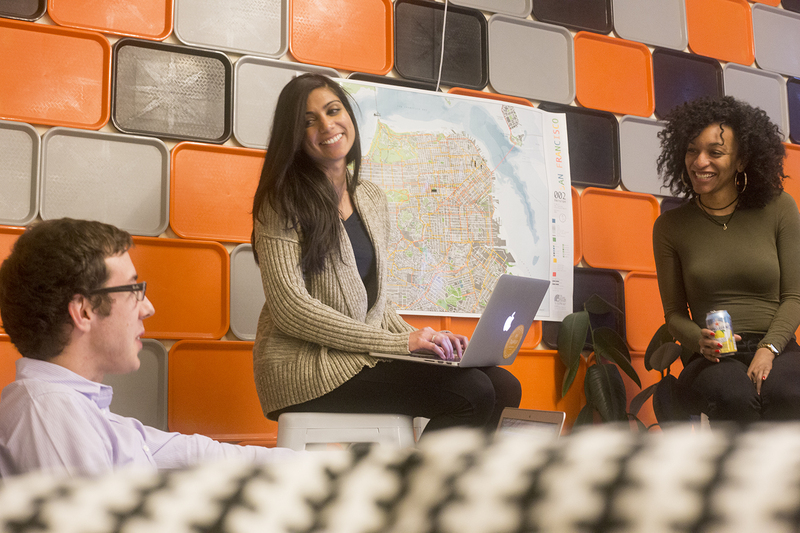 We believe that our culture fits in with that of the city as a whole – outwardly relaxed, yet intense, driven, and optimistic. San Francisco has a number of beautiful sites - The Golden Gate Bridge, Coit Tower, Dolores Park...but one of its best-kept secrets is the Privately-Owned Public Open Spaces (POPOS). As the name suggests, these POPOS are maintained by private developers for public use. You can find them in the heart of downtown, usually in the form of plazas, terraces, atriums, small parks, and even snippets. Not only do these spaces provide patrons with a retreat from the hustle and bustle of city life, they also house some of the city's most moving artwork." Have you been to San Francisco? Do you live there? 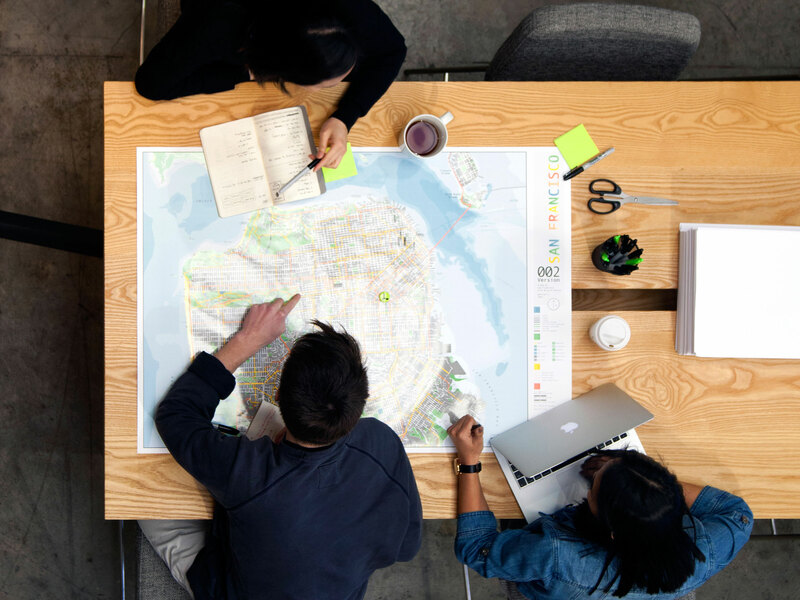 Tweet us @FutureMaps to let us know what you think of such a unique city.